Cold brew is hot! Maybe not always in temperature, but people are going crazy for it. And because cold brew is all the rage, it is now used for more than just your typical iced coffee drink. Have you ever thought about adding it to your food or making a smoothie out of it? Well you wouldn't be the first to do it. 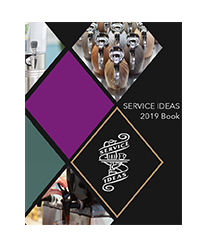 Here's five cold brew trends we predict to see more of in 2019. Cold brew soda is pretty much exactly what it sounds like. It is two parts cold brew concentrate, and four parts soda water. If you're looking for something carbonated, and filled with caffeine this is your drink. Some will add simple syrup, or a splash of cream to help sweeten the drink. There are now even packaged cold brew seltzers you can buy at the store, see Sandow's Cold Brew Soda. Try adding lime, lemon, or mint for the perfect summer refreshment! **Not into the carbonation thing? Try making a cold brew lemonade, just exchange the soda water for fresh lemonade and simple syrup! Cocktails are here to stay, and cold brew isn't going anywhere, so cold brew cocktails are a game changer. 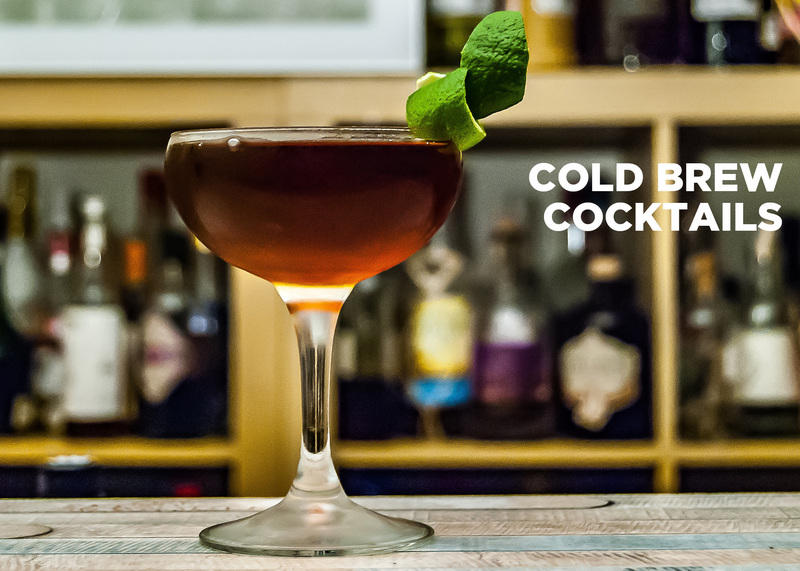 Whether you're looking for a night cap coffee drink (cold brew + Irish cream) or a little buzz to get your night started, a cold brew cocktail is appropriate. Could it become the next vodka Red Bull? The perfect way to gain some energy for a night out. Another way you may see cold brew cocktails used is at brunch. Read all about adding cold brew into the brunch menu here. 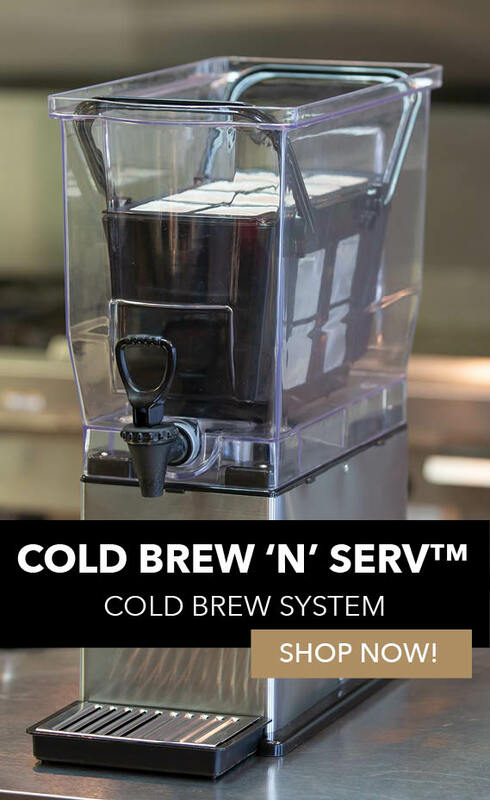 As people continue to be introduced to cold brew, and become regular consumers, it will be more common for them to make cold brew in their home. A simple way to make a single-batch of cold brew is in a french press. The main differences between making a regular french press and cold brew is using cold water and letting it steep for several hours. 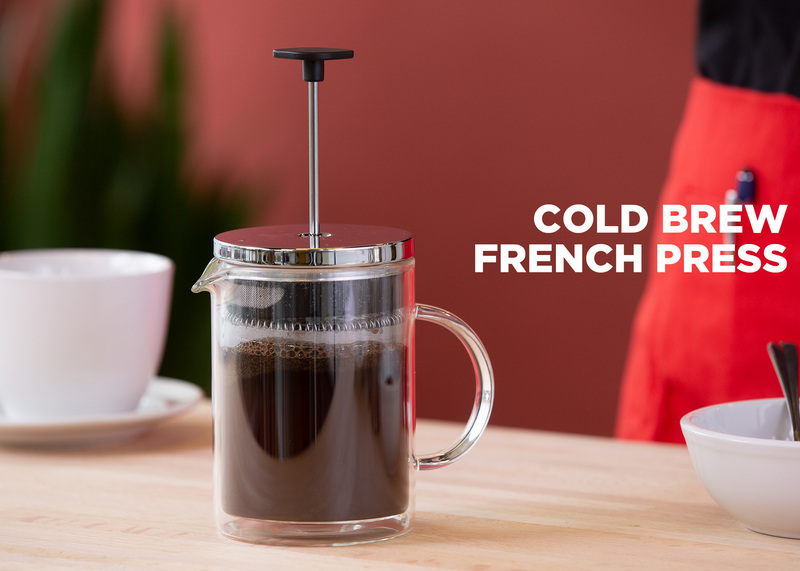 Learn How to Make Cold Brew in a French Press today! Coffee is a common flavor used in desserts such as tiramisu, mousse, and ice cream. 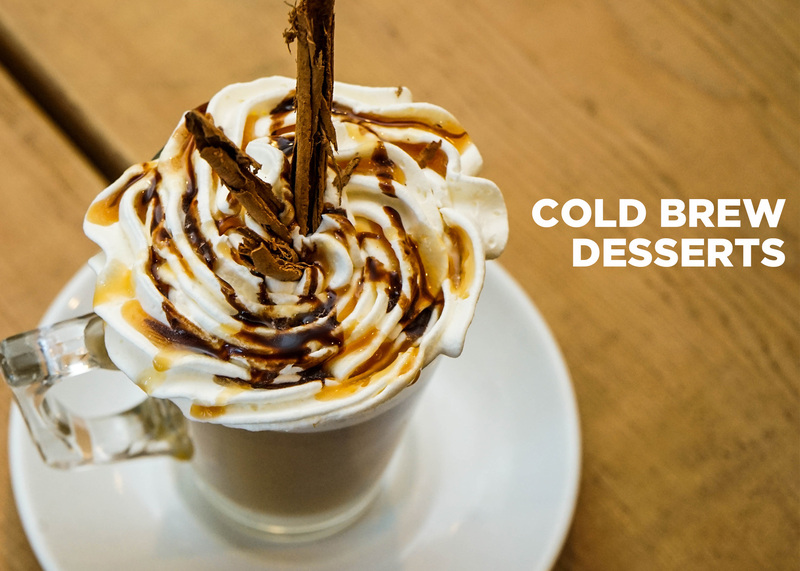 Exchanging that with cold brew adds a strong and sweet coffee flavor to traditional deserts. Pairs especially well with chocolate and vanilla flavors. See some easy dessert recipes you can incorporate cold brew in to, including a cold brew float and cold brew latte, here. Protein drinks and powder expand across a variety of flavors, one of which includes cold brew. 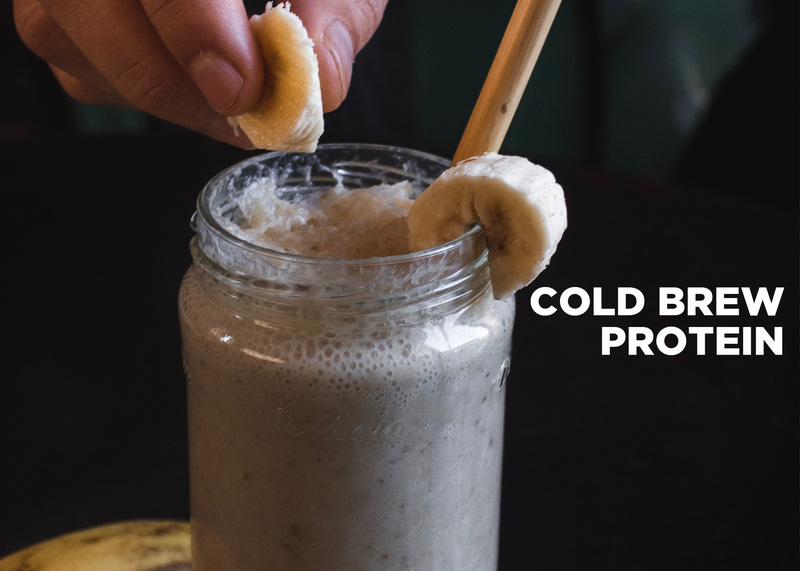 Now available are pre-bottled cold brew protein shakes fueling consumers with not only caffeine from the cold brew, but also protein. Aside from pre-made beverages, there are also flavored cold brew protein powders available. Getting your daily dose of cold brew is pretty easy nowadays! Cold Brew is used for more than just the common iced coffee drink. As people become more familiar with cold brew and the benefits, it will be hard to turn away. These are only a few ways to use cold brew concentrate. 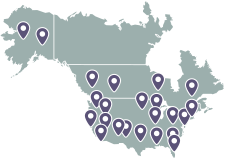 Keep your eyes peeled for multiple different coffee shops, restaurants, and bars serving cold brew. 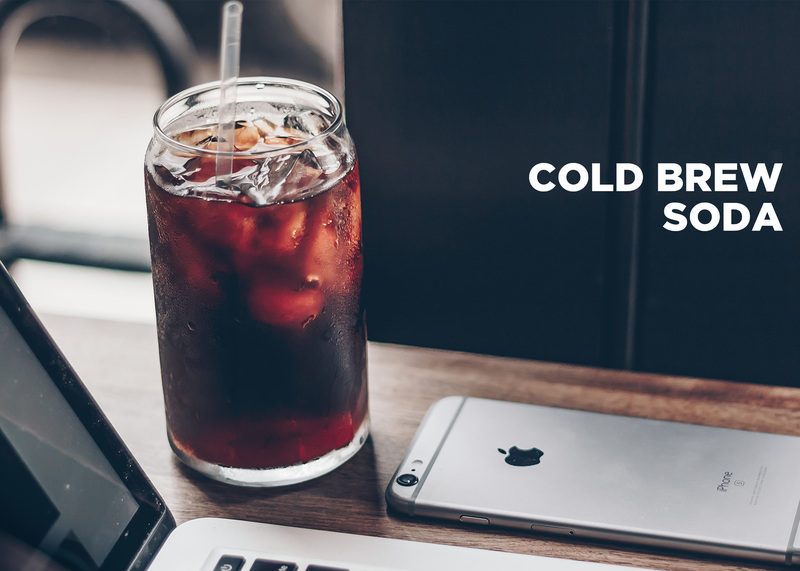 Take the next step, and introduce cold brew into your business.